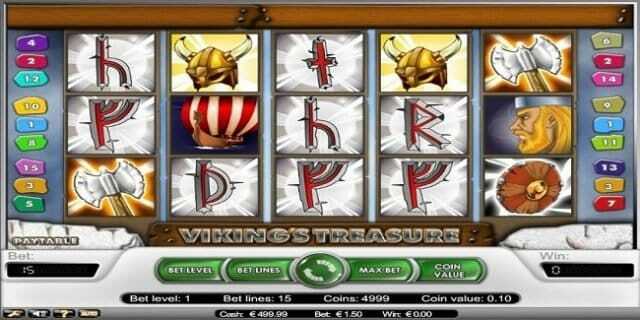 Viking’s Treasure is a NetEnt based online casino slot game which is 5 reels and 15 paylines. This is a video slot game which offers a jackpot of 10000 times of your total bet and hence this could be a great game for a player like you, who is looking to play big game with the help of real money. 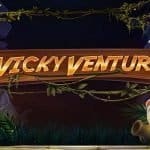 You can play Viking’s Treasure slot game at any NetEnt backed online casino site. Return of the player percentage for this game is 95.9, which seems fine. Minimum coins per line are 1 and max coins per line are 5. Players can choose coins sizes before playing the game which ranges from 0.02 to 0.5. Viking’s Treasure scatter symbol is a symbol of Hand Holding the Treasure and the wild card here is Viking’s Treasure, which doubles one’s win. If you hit 3 or more scatter symbol i.e. Hand Holding the Treasure, you would trigger free spin feature. 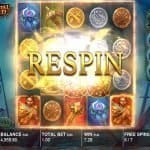 You can win up to 15 free spins and during the free spin feature all wins will be tripled. 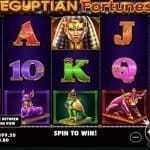 When you land on 5 wild cards on any active reels, you will win a jackpot of 10000 coins. The game includes options like “bet Level” which is used to select the bet, “Bet Lines” which is used to change the number of active payline and “Coin value’ which is used to choose the denomination. “Spin” feature is used to set the reels in motion, “Max Bet” option is used to Spin the reels at the highest available wager and “Auto Play” button is used to Turn the reels automatically for a preset number of times uninterrupted.